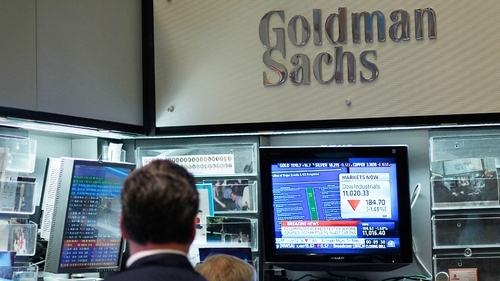 Goldman Sachs Group ditching plans to open a desk for trading cryptocurrencies as the regulatory framework for crypto remains unclear, Business Insider has said, citing people familiar with the matter. Major cryptocurrencies plunged on the news. Bitcoin fell nearly 5% to touch five-day low at $6,985 on the Luxembourg-based Bitstamp exchange. Ethereum slid 9%, Litecoin 7.1% and Ripple 7.7%. Blankfein's tweet was in sharp contrast to comments made by JPMorgan Chase & Co CEO Jamie Dimon, who called bitcoin a "fraud." "It is worse than tulips bulbs," Dimon had said, referring to a famous market bubble from the 1600s. Goldman's rival Morgan Stanley had spoken in favour of the currency, with CEO James Gorman calling it "more than just a fad." The virtual currency can be used to move money around the world quickly and with relative anonymity, without the need for a central authority, such as a bank or government. A fund holding the currency could attract more investors and push its price higher. Bitcoin had rocketed to a record high of $16,000 in December. Several small US firms reshaped their business models to capitalise on the craze for blockchain technology, which supports cryptocurrency. Beverage maker Long Island Iced Tea's shares jumped nearly 300% in late December after the company said it would rebrand itself Long Blockchain Corp.